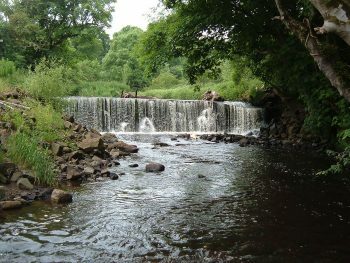 Ayrshire Rivers Trust in partnership with the Scottish Environment Protection Agency are commissioning a project to help deliver a solution to fish passage problems at in-river barriers in Ayrshire. This invitation to tender is for the construction phase to be undertaken summer/autumn 2018 at Sevenacres weir, Lugton Water, Kilwinning, Ayrshire, KA13 7RG. Tenders should be submitted by email to info@ayrshireriverstrust.org Closing date for tenders is 12 noon on the 6th August 2018. Tender documents can be found on Public Contract Scotland by following the links below.